If you are looking for a long-term investment with a high rate of potential return, investing in real estate is a solid and secure option for your cash. Like all other investments, however, it does require careful research and consideration or else you could risk making a very expensive mistake. 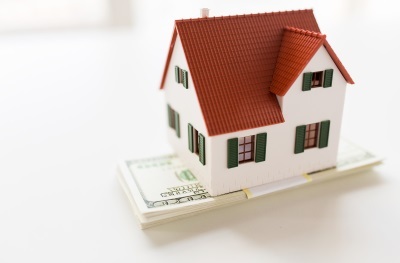 Read on for the different types of investment and the best tips for investing in real estate. If you are a seasoned investor, an REIT will probably feel fairly familiar to you, as it is more similar to the trading of stocks and shares than traditional property investment. A real estate investment trust is a company which allows individual investors to buy shares in commercial real estate portfolios. These portfolios then receive income from a diverse range of properties, such as healthcare facilities, hotels and apartment complexes, warehouses, offices and retail space, and infrastructure such as cell towers and power cables. Some examples will specialize in a particular niche – for example, healthcare properties – while others prefer to diversify, offering smaller shares in a wide and varying range of options. In a sense, REITs allow you to invest in property without actually investing in the physical objects. You can essentially become a shareholder in the property, as opposed to a direct investor who is responsible for the needs – good and bad – of the structure. REITs often provide high dividends, which can be reinvested for long-term investment, and offer a fairly simple, low risk and hands-off way to invest in real estate without the worry or cost which can come with being a landlord or involved in property management. An example of a REIT can be seen in Fundrise, a company which specializes in helping investors to grow and develop a real estate portfolio. Fundrise offers the chance to buy into multi-million dollar projects which would otherwise be an inaccessible investment. Exchange traded funds allow you to buy a group of investments through an exchange, like the stock market. There are all sorts of ETFs available. For example, you can purchase ETFs that focus on bonds, stocks, and yes, real estate. Since these funds are on the exchanges, you can purchase them through a brokerage account, just like you would any individual stock. Mutual funds work in a similar way to REITs, but they may have multiple properties within their portfolio. They work through investors coming together to combine their capital to buy a share of commercial real estate. The contributors then earn money from their shares. They have the bonus of allowing smaller individual investors to access a much larger, professionally managed portfolio, something which would have been out of their reach otherwise. They work simultaneously as both investment and business; an investor into a mutual fund is also buying into the performance of the portfolio, as well as the properties and assets which it holds. Companies such as Realty Mogul follow this principle, bringing together collections of investors and interested parties who pool their capital and purchase real estate such as office space, industrial sites, retail facilities, healthcare developments, and others. The investors then receive profit and growth from their shares, ensuring them a positive return on their initial investment. Perhaps a more easily recognizable option for investing in real estate is through rental properties. This option does require you to be more hands-on in order to protect and nurture your investment, but can also allow you to see faster and more direct results. Rental properties work exactly as the name suggests; you purchase a property and rent it to an external party. This can be on a short- or long-term basis; both have benefits and drawbacks. You can potentially make serious cash if you are fortunate enough to have an additional home to rent out. There are a number of options for this; you may prefer long-term tenants to ensure security and consistency. Families and professionals are good choices to target here; they are often looking for something secure and will be happy to remain on the property for a longer period. Students are also a potentially lucrative market; they often require fixed-term rentals, which can be beneficial in managing your budget and estimating your income. You may be able to maximize your return by working on a “per room” rate as opposed to the entire property; this is common in student accommodation and can potentially net you a larger profit. The third option is, of course, short-term or holiday rentals, popularized by sites such as Airbnb. If you are located in a particular tourist trap or holiday hotspot, this can be a great way to achieve a solid return on your investment. It is important to consider your potential profit when selecting an investment property; those which are in a good location, such as a desirable city or close to a popular spot, will be able to command a higher rent, particularly if they are used on a short-term or holiday basis. Similarly, if you have a property in a suburban area close to schools and amenities, it will be popular with families on a long-term basis. It is worth checking regulations and legalities in your local area before committing to a purchase; some areas have strict rules regarding rental properties. In order to make a profit, you will need to balance expenses and income and buy within your budget. It can be tempting to extend the mortgage to get that extra bedroom, but you need to make sure that the rent from your tenants will balance or exceed this; it’s a tricky balancing act to get right. Similarly, an older house may have stunning character and period features, but may require expensive upkeep and maintenance which could exceed any potential profit. If you are not in a position to purchase a rental property, there is still a way of investing: room rental. If you have a spare room available in your property, it could be earning its keep. Whether you go for short-term, Airbnb-style rentals or come to a longer-term arrangement with a lodger, you might be surprised at how the smallest spaces can potentially become a great investment with a little planning. Again, make sure you check out the terms of your mortgage or with your landlord here, since some prohibit subletting. Flipping a house is another potential investment which could be lucrative, but again requires a careful balance. The concept involves purchasing an underpriced house, usually badly in need of updating or restoration, and then completing the necessary work before selling the property for a substantial profit. If you intend to flip a house, there are two main requirements: money and time. This is a project which requires experience, a reserve budget, and an excellent eye for property, or it can risk going badly wrong – from a dream investment to a financial nightmare. In addition to the initial costs involved in buying real estate, you will also need to take into account the price of any repairs, renovations, or upgrades. If the work is purely aesthetic, such as updating decoration or modernizing features, the cost can be kept fairly low, particularly if you do the work yourself. Some restorations, however, can prove to be expensive, particularly if major renovation or structural work is required. To an inexperienced eye, these issues can be missed during the initial viewing and valuation stage and begin causing problems shortly after purchase, when you may not have an allocated budget remaining. Left untreated, these problems can grow in severity until they prove to be expensive. You need someone on your team who is property-savvy and can accurately estimate the cost of repairs. You should also be in a position where you are confident and flexible enough to adjust your budget accordingly. The other risk associated with flipping a house is, of course, time; unless you are in the position to purchase the property outright, you will pay a mortgage at the same time as the renovations. The longer you hold the house, the more you spend; the goal is to get it out of your hands as quickly as possible. With this in mind, house flipping can still prove a lucrative return on your investment; just make sure you have all of the information at your fingertips prior to starting. If you are looking for a secure, long-term investment for your deposit, real estate is a solid choice. It is appealing in its flexibility, since you can create and tailor your investment depending on your personal interests and preferences. If you prefer a hands-off, uninvolved approach, a REIT or mutual fund development can provide generous profit with minimal input on your part. Alternatively, flipping a cheap house or becoming a hands-on landlord could net you great returns if you are happy to be on the front line and put in some up-front effort. Real estate is an industry which requires careful research and planning before making any decisions, but if you are willing to do your homework, it has the potential to reap you excellent rewards. Consider the amount of money you’re willing to invest, as well as the time and effort you’re willing to put in, and choose the right investment strategy for you.